It’s only a matter of time when women control the majority of U.S. family wealth, representing trillions of dollars in transition during The Great Wealth Transfer. For financial advisors, women represent a significant business growth (and retention) opportunity. Why women? Because married couples are more likely to bequeath their estates to the surviving spouses, and statistically women outlive men. Considering that two-thirds of all estates are owned by married couples, it makes sense that women stand to inherit the majority of family wealth. For many women, inheritance often comes with the added responsibility of serving as executor and/or trustee of the estate. In 2014, a U.S. Trust Women And Wealth study found that among the difficulties women who have previously served as an executor or trustee experienced were the commitment of time required, insufficient legal and financial knowledge, lack of access or knowledge about the whereabouts of records and information, and managing expectations and disagreements among heirs or beneficiaries. With knowledge, tools and guidance before the estate transfer, these “difficulties” can be prevented. 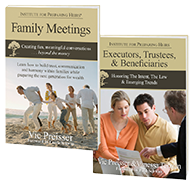 A new book, Executors, Trustees & Beneficiaries: Honoring The Intent, The Law & Emerging Trends, from the Institute for Preparing Heirs, offers much needed information and tools—beyond the legal and fiduciary responsibilities of executors and trustees. It poses questions (and offers answers) few ask before agreeing to serve as executor and/or trustee. For advisors, Executors, Trustees & Beneficiaries: Honoring The Intent, The Law & Emerging Trends, is a new resource to offer clients—both husband and wife—to help clarify the roles and expectations as well as minimizing misunderstandings and disagreements among beneficiaries. For women, this book looks at estate planning from a new perspective—one that honors the family legacy while preserving the family wealth. 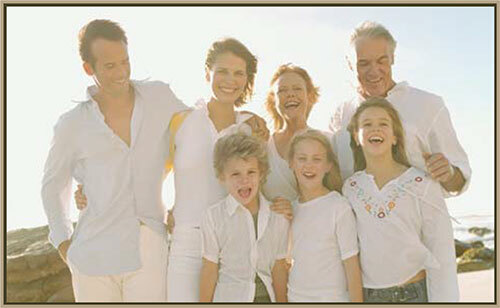 Here, family wealth is more than money and real property. 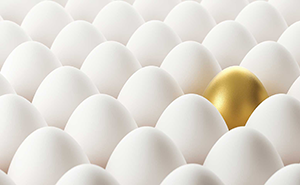 While not all women inheritors will serve as an executor and/or trustee, the majority of women with families will ultimately assume the role of family financial leader. Taking steps that minimize disagreements within the family about the use and distribution of wealth helps contribute to long-term family harmony. The U.S. Trust study found that 34% of women (compared to 22% of men) surveyed are more likely to feel that wealth complicates relationships and can negatively affect families and 20% said that keeping family relationships intact is the most important use of their wealth. Advisors who encourage women clients that it’s never too soon to start preparing for their financial futures and that of their families are in a much stronger position to build a lasting relationship with their clients and the clients’ children. Financial and other trusted advisors (estate planning attorneys, tax and insurance advisors) can play a pivotal role in helping women clients prepare for family financial leadership by knowing what actions women can take on their own or with guidance of the advisor. But that requires new strategies, new tools and new training beyond the money. Learn more about the benefits of generational wealth transfer training. We are just beginning to understand the changing landscape in how and when wealth is being passed across generations. New thinking recognizes that wealth is being transferred within families throughout an individual’s lifetime and not just at the passing of a spouse or parent. Take the “Giving While Living” survey.